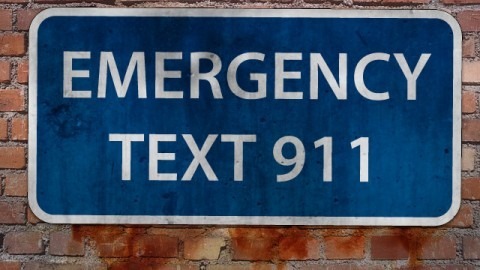 In some emergency situations it might not be practical or possible to make a voice call to 911, but starting today, you might have another option. It took a bit of wrangling with wireless carriers, but the FCC's deadline for having the necessary wireless infrastructure in place is today. That doesn't mean everyone will be able to text 911 yet, but the pieces are in place. AT&T, Sprint, T-Mobile, and Verizon have all agreed have support in place for 911 texts by May 15th, which is today. The quarterly progress reports submitted by wireless carriers in April said everything was on track for deployment, so we should be good on that end. The nation's 911 call centers are still being upgraded to support 911 text messaging, so it's not yet available in all areas. The FCC website has a list of markets where Text-to-911 is already live (PDF). Part of the the carrier support for this service is sending bounce-back messages to users who text 911 in an unsupported market. That shouldn't be a problem by the end of 2014, when all 911 call centers are expected to be text-enabled.